If you are in the market for a highly performant action camera, then the chances are that you have considered, or are considering, purchasing a GoPro. Allow us to present you with an alternative with this Crosstour offering which is being offered for just $69.29. 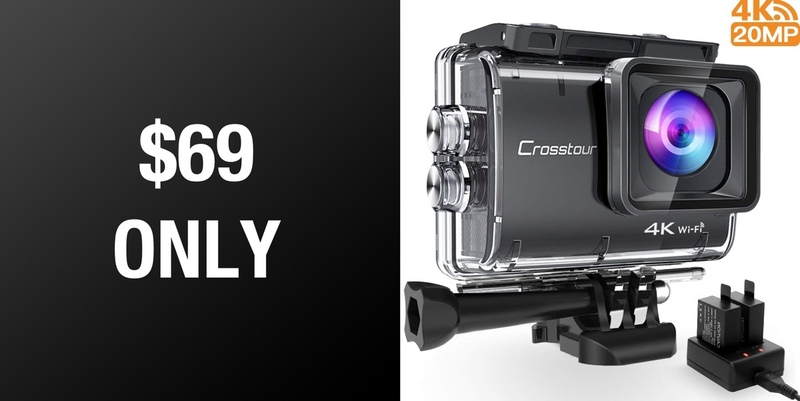 One of the first things that you will notice about this Crosstour product is that it may not come with a name that is as widely known as GoPro but it does have a decent following of users who all rate this hardware extremely highly. The product has amassed a very impressive rating of 4.5-stars out of 5 from a total of 108 customer reviewers. These are people who have taken the plunge and purchased the camera and rated it based on their experience and how they feel about the product. As you would come to expect from a modern action camera, this Crosstour hardware brings real 4K video recording at 30 frames-per-second into this tiny little box. It offers 20-megapixel photo resolution provided by 7 layers optical glass camera lens and a wide-angle experience to ensure that as much of the action is captured as possible. It is also waterproof to the depth of 40-meters and offers additional protection such as being dustproof. This is exactly what you would expect from a camera which is designed to be right at the center of the action, regardless of what that action may be. 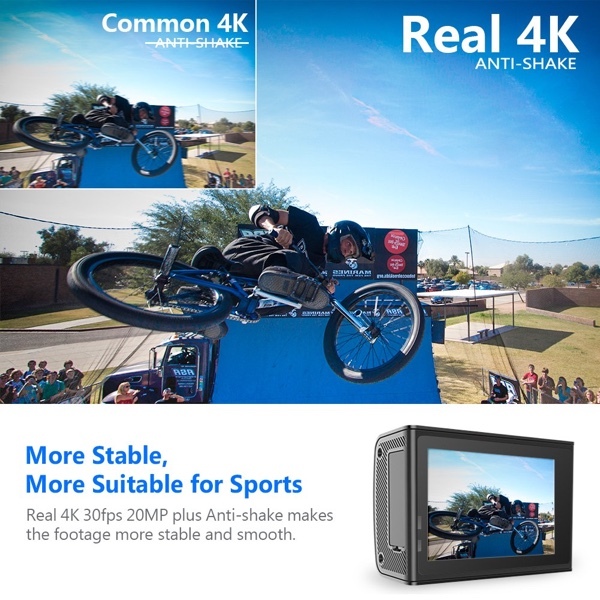 The anti-shake technology should ensure that videos are captured at the highest quality with the least amount of interruption. This means that footage should be stable and smooth whilst having a ton of recording options thanks to things like time-lapse and loop modes. It also comes with a dedicated mobile application so that content can be viewed back or shared to social networks, such as Twitter and video-sharing website, YouTube. All-in-all, a financial outlay of just $69.29 is a very small amount to pay for all of this performance and hardware. A definite must-have for anyone who has been looking for hardware of this nature and who doesn’t want to bleed themselves dry.